You can insert your posters, menue cards or information sheets via slide-in in the display. 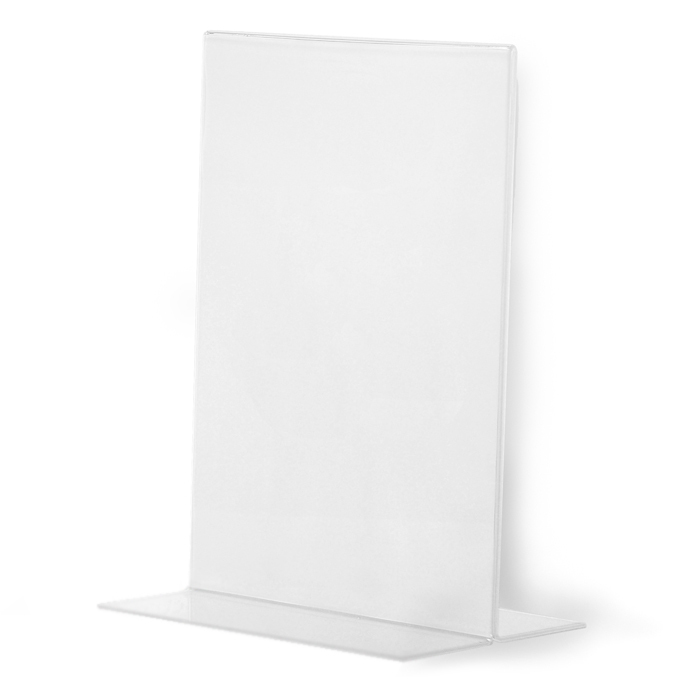 This acrylic T-display is delivered as a potrait format in the sizes of DIN A7 up to A3. 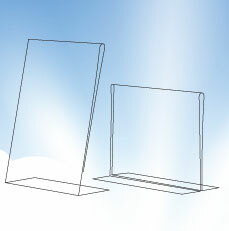 All products are made of 2mm acryl with additional protective sheet - DIN A3 is made of 3mm acryl.